우리의 사명은 교육과 상담을 통해 사회적, 정서적으로 건강한 가족, 행복한 가족을 세우므로 온 세대가 건강한 사회를 만드는 것 입니다. We believe that a solid community starts with healthy, empowered individuals and strong families, who, in turn, partner together to build and give back. 패밀리 터치는 견고하고 튼튼한 지역사회는 건강한 개인과 행복한가정을 통해 이루어 진다고 확신합니다. To provide affordable educational programs and counseling services to immigrants and their families to build strong communities. 패밀리 터치는 교육과 상담 서비스를 이민자들과 가정에게 적정비용으로 제공합니다. 2. 각 가족 구성원에 영향을 줍니다. 3. 행복한 가정을 유지 할 수 있도록 관계 향상 기술과 문제 해결 능력을 습득하도록 가르칩니다. 2017년 한해 2천시간의 상담과 프로그램을 제공했습니다. $300만불 이상의 후원금을 확보해 도움이 필요한 가정들이 재정에 제약없이 필요한 서비스를 받도록 도왔습니다. Family Touch’s expert staff includes marriage and family therapists, social workers, life coaches and consulting psychiatrists who have over 50 years of collective experience. Our work is guided by our senior management and staff and Board of Directors. 패밀리 터치 스태프는 경험있는 결혼 및 가정 전문 상담치료사와 사회 복지사, 인생 상담 코치, 그리고 협력 정신과 의사들로 구성되어 있습니다. 또한 패밀리 터치의 사역은 경영진, 이사회와의 조력과 가이드를 받습니다. Dr. Chung's passion for education and healthy relationships led her to pursue her Ph.D. Major in Education and Minor in Psychology & Counseling. After working as Family and Education Minister and Program Director, she founded Family Touch with a vision to provide affordable educational programs and counseling services to immigrants and their families to build strong communities. She is a best-selling author of three books titled, “Family Principles for Raising Emotionally Healthy Children”, “Father’s Present”, and “Best Communication Skills”. She is also a Licensed Clinical Pastoral Counselor, N.C.C.A, Certified National Seminar Director in Marriage Counseling, Prepare & Enrich, Life Innovations and Communications Skills, N.I.R.E., among many other certifications. 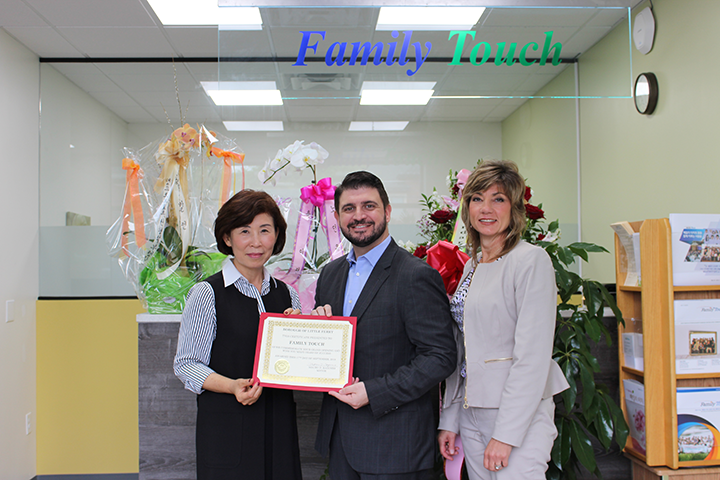 Dr. Kim oversees Family Touch's finances, including all strategic and tactical budget management, forecasting and the securing of new funding. He also served as Program Director for Seniors, teaching and preparing senior citizens with life skills and Death Preparation School. He received his D. Min at Canada Christian College along with Pastoral Care Studies and M. Div. Ms. Pyo is a counselor at Family Touch. She is also responsible for directing the federal grant program, Home Sweet Home. 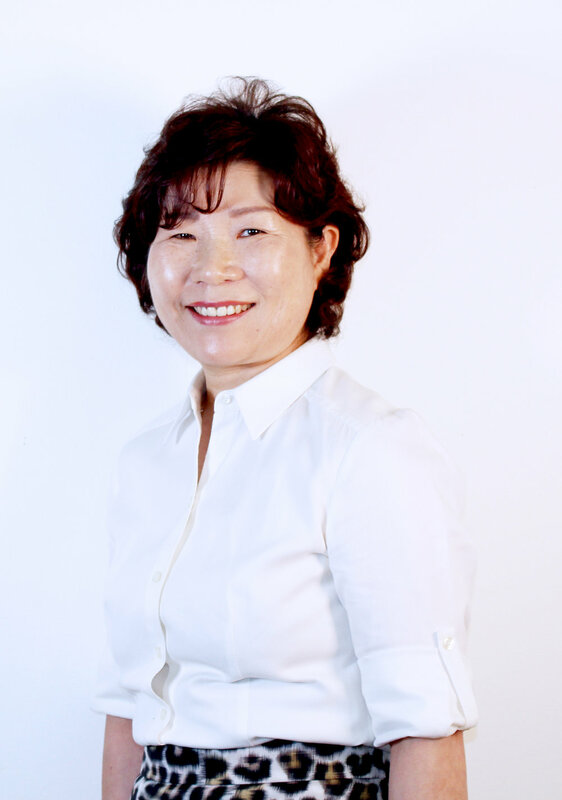 As an art therapist, Ms. Pyo has experience in planning and implementing activities to promote clients’ physical, social, emotional, and intellectual growth. Director of Family Touch senior programs.